NEW YORK (Reuters) - U.S. crude oil output is expected to rise 1.45 million barrels per day (bpd) this year and 790,000 bpd more next year, bringing total output to 13.2 million bpd, the Energy Information Administration said in a monthly forecast on Tuesday. 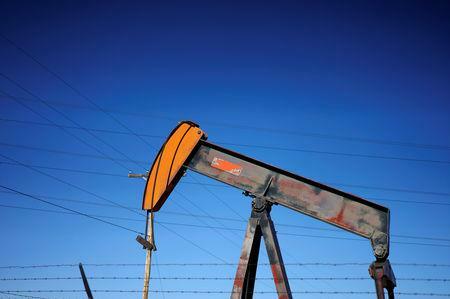 U.S. oil production this year is forecast to be at a record 12.41 million bpd, the EIA said. The country's oil output has surged, boosted by technology to unlock production from shale formations. "February's Short-Term Energy Outlook revises the forecast for U.S. crude oil production in 2019 and 2020, expecting increased growth during both years," EIA Administrator Linda Capuano said in a statement issued after the report. Demand for diesel and other distillate fuels is expected to rise 30,000 bpd this year to 4.17 million bpd, up by 10,000 bpd from the previous month's forecast. Gasoline consumption is expected to rise 40,000 bpd to 9.35 million bpd, compared with 60,000 bpd expected previously.